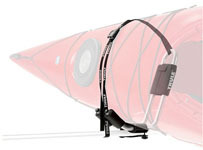 The Hull-a-Port is a deluxe version of the J bar kayak cradle designed to securely transport a kayak on edge as well as making it easier to load. These are especially good if you have an expensive fibreglass sea kayak as there is plenty of padding. 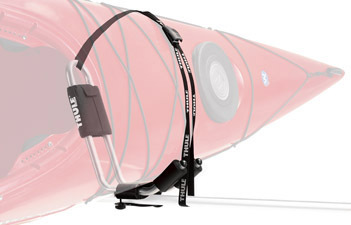 It's stable, space-saving design keeps the kayak firmly secured with straps on top of the car. The padded bars protect the kayak from being damaged during transportation. As well as rubber pads around the strap buckle protect the kayak and car from scratches during loading and transport. 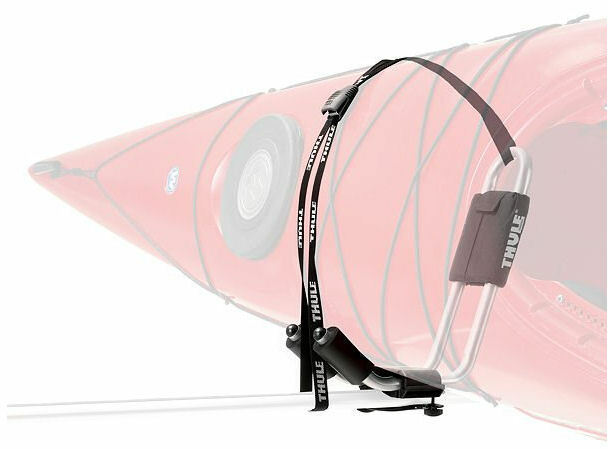 The Hull-a-Port is designed to make loading kayaks simple and easy for anyone to do. Suitable for use with most modern kayaks including touring kayaks, sea kayaks and some sit on tops. 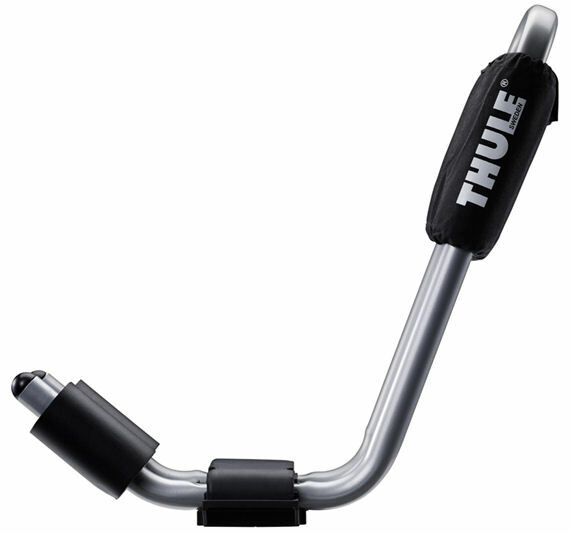 Compatible with both standard & aero bars. 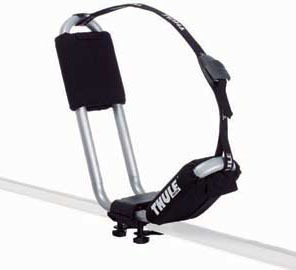 A pair of 2.75m Thule roof rack straps are supplied with the Hull A Port. Includes 2 x 2.75m Straps. The Hull-a-Port j-bars work with straps to securely hold the kayak in place whilst travelling.